ConocoPhillips owns and operates Polar Tankers, one of the largest oil tanker fleets under the U.S. flag. 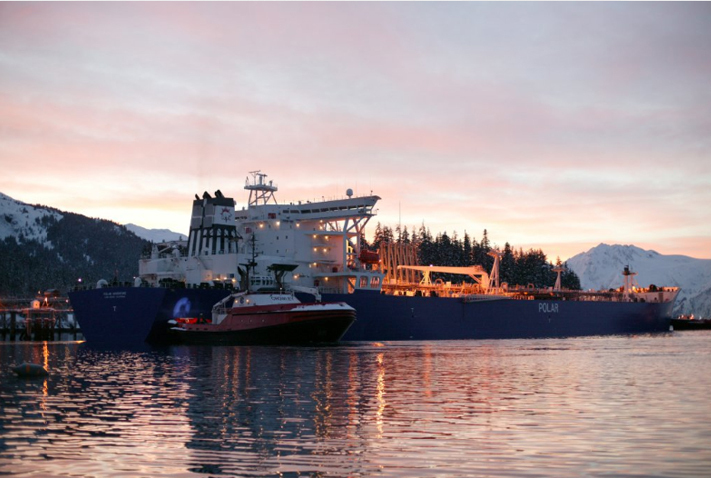 The fleet transports more than 80 million barrels of Alaska North Slope crude oil each year to refineries in Puget Sound, San Francisco, Long Beach, and Hawaii. ConocoPhillips was one of the first companies to commit to operating an all double-hull fleet, and has operated an all double-hull tanker fleet since 2007. The Polar Tanker fleet consists of five Endeavour Class tankers—the Polar Endeavor, Polar Resolution, Polar Discovery, Polar Adventure and Polar Enterprise—designed specifically for the twice-monthly 2,500 to 5,000-mile round-trip from Valdez, Alaska, to Washington, California, and Hawaii. Advanced technology and ConocoPhillips’ innovative design have produced the Endeavour Class vessels that meet or exceed all current or planned environmental, structural, and mechanical standards. The Endeavour Class ships were the first to be built in the United States following the Oil Pollution Act of 1990, which mandates the phasing out of single-hulled tankers. The ships, designed specifically for the transport of crude oil, have been designed in partnership with some of the world’s leading naval architecture and marine engineering firms to ensure they are best-of-class tankers.